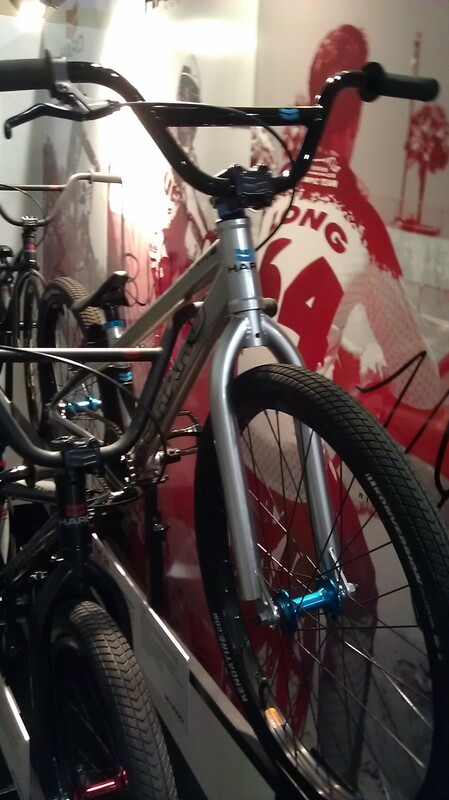 The grand poohbah of 24″ race completes, the Redline Flight Pro 24, looks as dialed as ever for 2013. For many people, this is considered the “most complete” complete on the market. But for all that quality, be prepared to open your pocketbook. The MSRP is north of $1000 US. 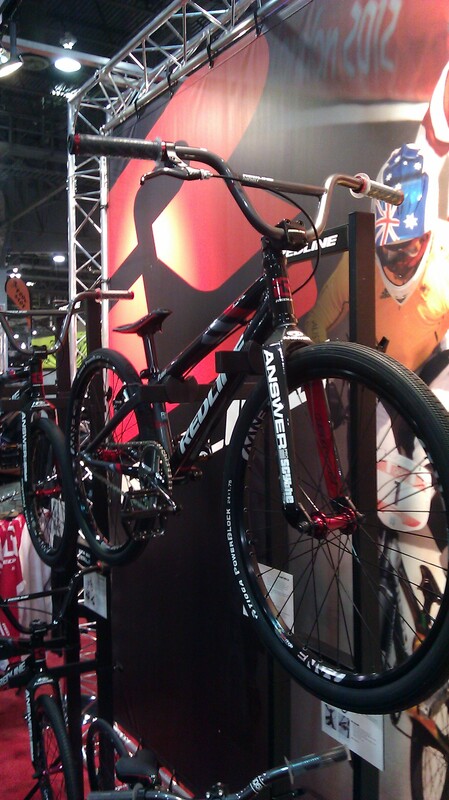 Haro’s 2013 race 24, also looks like it’s ready to perform on the track. Looks well put together, along with cool blue anodized accents to give it a bit of custom-build look. The SE Floval Flyer Looptail was a show stopper…in that it had the tendency of stopping you in your tracks to take a closer look when you walked by during the tradeshow. Featuring an awesome old school look, it’s been souped up with modern-day build quality and geometry. 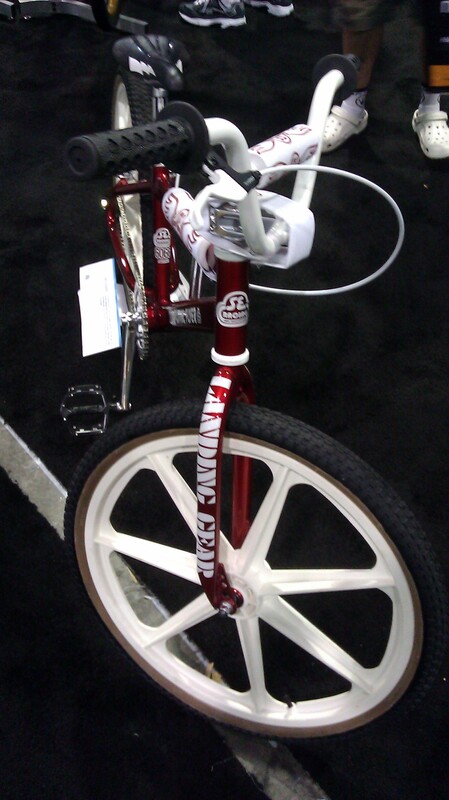 Sporting exclusive-to-SE Skyway Tuffwheels with red anodized hubs(! ), this is a bike that’s hard not to dig if you have any roots in the sport. 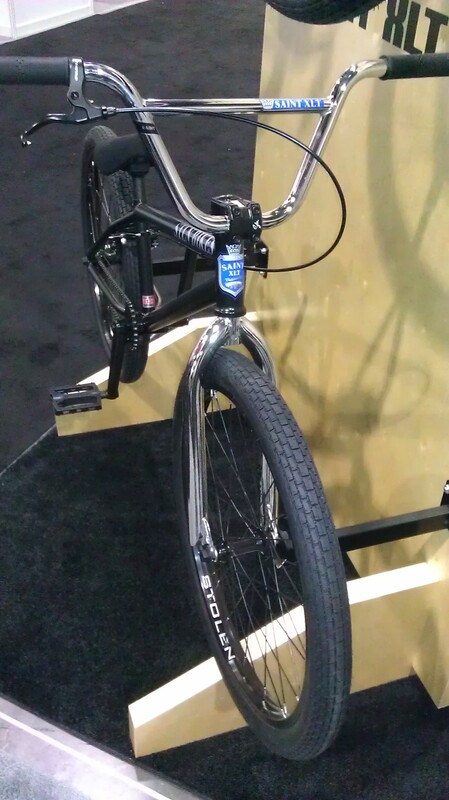 One of the bikes that I was eager to check out at Interbike was the new DK Elite Series Cruiser. Let me tell you it did not disappoint. The bike’s good looks are complemented by solid geometry. Featuring a roomy 22″ top tube, a 73 degree head angle, 72 degree seat tube angle and 15.24″ chain stay (somewhere around 14.75-ish when slammed if memory serves) this might just be what the doctor ordered for my lanky build. The bottom bracket height is also about 12.5″ inches which is bit higher than most race 24s. Component-wise, it just keeps on getting better. 180mm forged alloy 2pc cranks with an external bottom bracket, Sealed DK hubs on Sun Envy rims, lock-on grips, DTH tires…the list goes on. About the only thing I would change would be the handlebars…I like a slightly taller handlebar and the stock bars on the Elite Series have a 6 inch rise. A pretty typical change/upgrade and not something that I would consider a strike against this bike by any means. 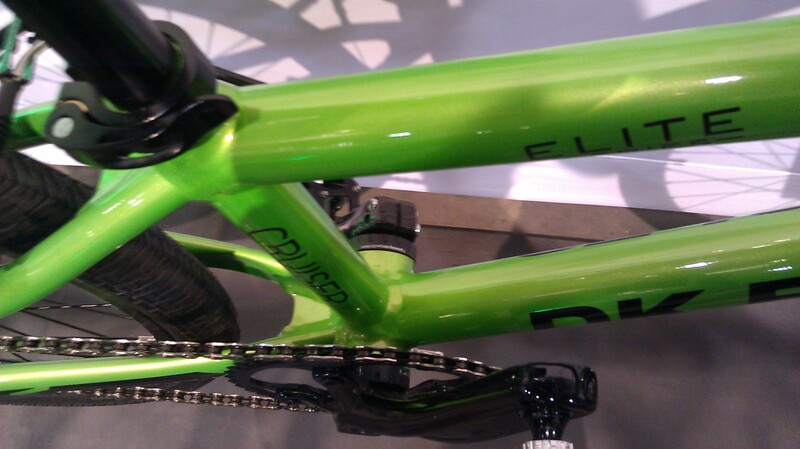 Weighing in at a very respectable 21.75 lbs, this is certainly a lean, green race machine. Expected availability is still a few months out but this complete should definitely be on your radar if you are planning on getting a new race complete in 2013. Vegas baby…I mean…it’s Interbike time! I’m in Vegas, it’s September, it can only mean one thing….Interbike. Like last year, it’s going to be a bit of whirlwind. On the agenda: checking out the new stuff for 2013, catching up with people and doing some things that will (hopefully) stay in Vegas. And while I would love to be “reporting live”, it’s not going to happen. Rather than be bent over a laptop and missing something good, I’m going to concentrate on gathering as much cool stuff as possible and give you a recap next week. That being said, I’ll try my best to put some stuff on the Facebook page to let you know a few tidbits of what I see as I cruise the booths of Interbike. Porkchop BMX, Bullseye Cycle and VintageBMX.com are sponsoring a cruiser-only build off starting tomorrow, September 18. The best part of this build off is (besides checking out all the awesome builds) is that Porkchop is giving away a fully built up Skyway 24 XL in a random drawing out of all the people that submit a completed bike. Heck, I may build something myself! PorkchopBMX.com, Bullseye Cycle & VintageBMX.com have come together to sponsor a BMX cruiser build off running from Sept 18th to Dec 9th, 2012. 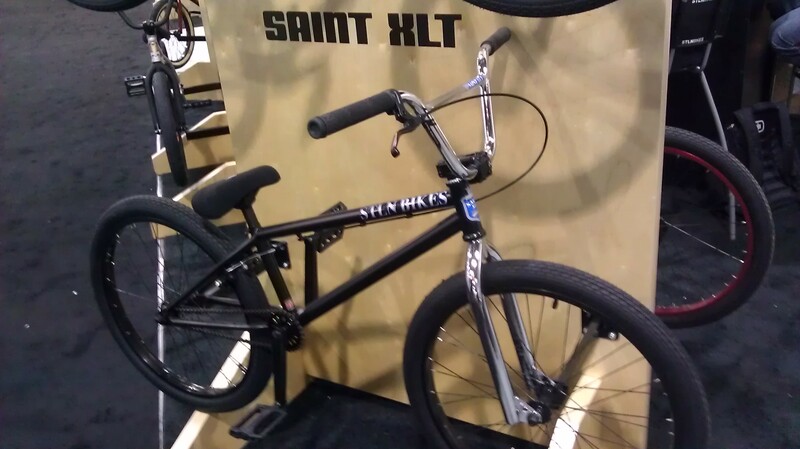 Any year 24″, 26″ or 29″ BMX cruiser is allowed to enter and each member can enter up to 3 bikes (one of each size). It is free to join VintageBMX.com and free to enter the build off. Bikes will be built from Sept 18th to Nov 17th and “before” pictures of at least the frame and fork must be submitted before Nov 17th. Completed bikes will be submitted from Nov 18th to Dec 2nd. 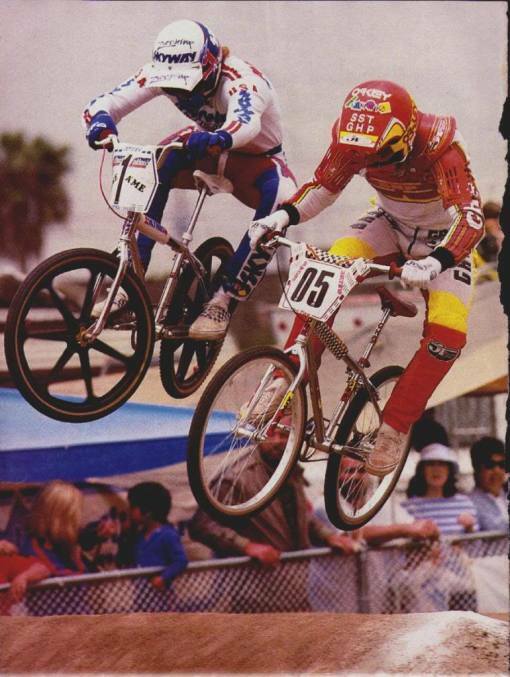 Voting for the top 3 favorites will be held Dec 3rd to 9th – any Vintage BMX member can vote. Prizes for 1st through 3rd (based on number of votes received) will win both cash and merchandise. 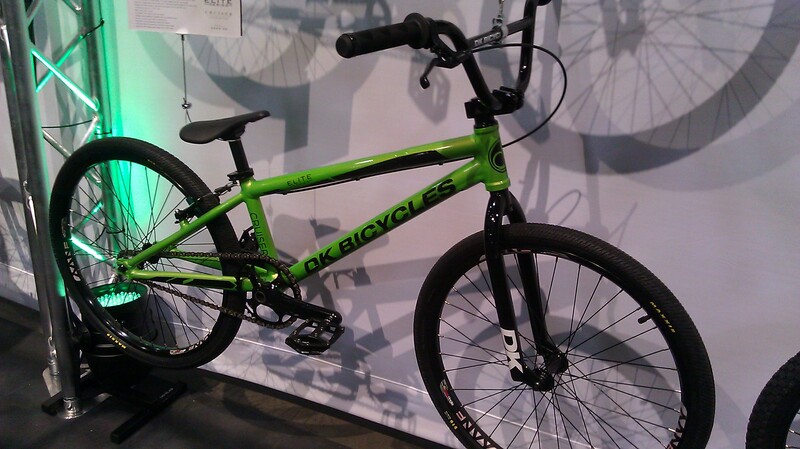 Every completed bike entered will get one chance to win (by random drawing) a complete 2012 Skyway 24 XL built with Porkchop BMX and Bullseye Cycle parts. Anyone who enters a Skyway cruiser gets 2 chances to win the giveaway bike. There is approx. $4000 total in cash and prizes being given away for this build off! Click on over to Vintage BMX for more on the contest. I’m in the L.A. area this weekend for a little R&R before hitting Interbike next week. 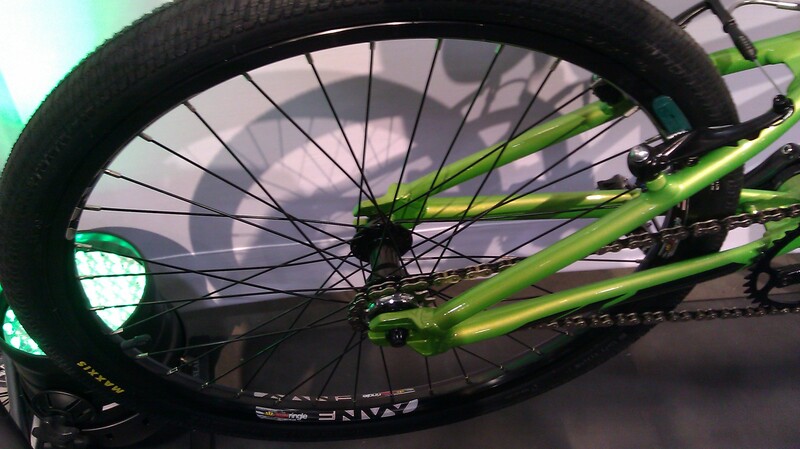 And while I won’t be hitting a 4130 Series Ride, I am going to try to get a bit of a BMX fix in anyway. Planning to hit The Bicycle Source and Fullerton Bikes on Saturday. If you’re near those two shops, maybe I’ll run into you..I’ll be the lanky guy in the Cruiser Revolution Rocker Tee (like the one on the right). 4130 Subway Series Documentary from ProtagonistBMX on Vimeo. Planet BMX/Colored Tuffs announced last week that the long-anticipated 24″ Skyway T/A frames were about to be shipped out. This modern-day adaptation of a classic cruiser frame (only made in small quantities in the original incarnation for the company’s factory riders, not the general public) understandably sold out quickly. Will another run of these frames be made? What I am sure of is that I’m dying to see some of these bad boys built up (the chrome ones with black Tuffs and skinwall tires are my kryptonite). Oh look…maybe the white frames are OK too. Eva Gabrielle on one of the original Skyway cruisers. 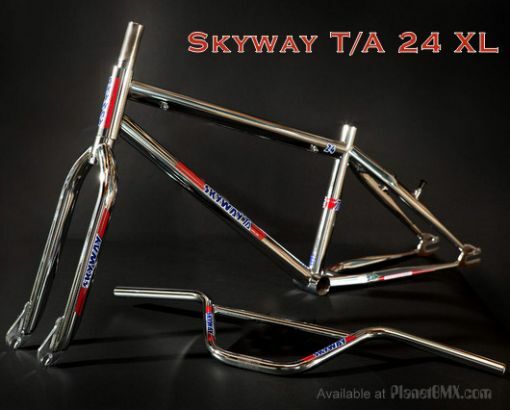 For more background on the Skyway frame check out this early post: Does the T/A stand for totally awesome?